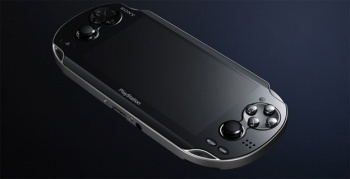 Plenty of developers and publishers have signed on to make games for Sony's new PSP2 (er, "NGP"). When Sony announced the PSP's successor last night, it did so with a collection of games from well-established franchises: Uncharted, Metal Gear Solid, and even Call of Duty. Unsurprisingly, the hardware giant has been hard at work building a network of developers that it's hoping will allow it to compete with Nintendo's 3DS. Compare it to Nintendo's 3DS lineup, and it's pretty darn impressive. Of course, the PSP had stronger third-party support than the DS, and we all know how that turned out, right? Personally, I'm just glad to see Arc System Works there, because that almost certainly means a new BlazBlue. Rock on. Just for the record, I think "NGP" is a horrible name, and I hope it remains the code name it obviously is. Why would you toss your iconic PlayStation branding out the window, Sony? Even "PSP" has important brand value - sure, it got stomped by the DS and the PSPgo flopped hard, but it still sold millions of units. Sony would be idiotic to throw it away.